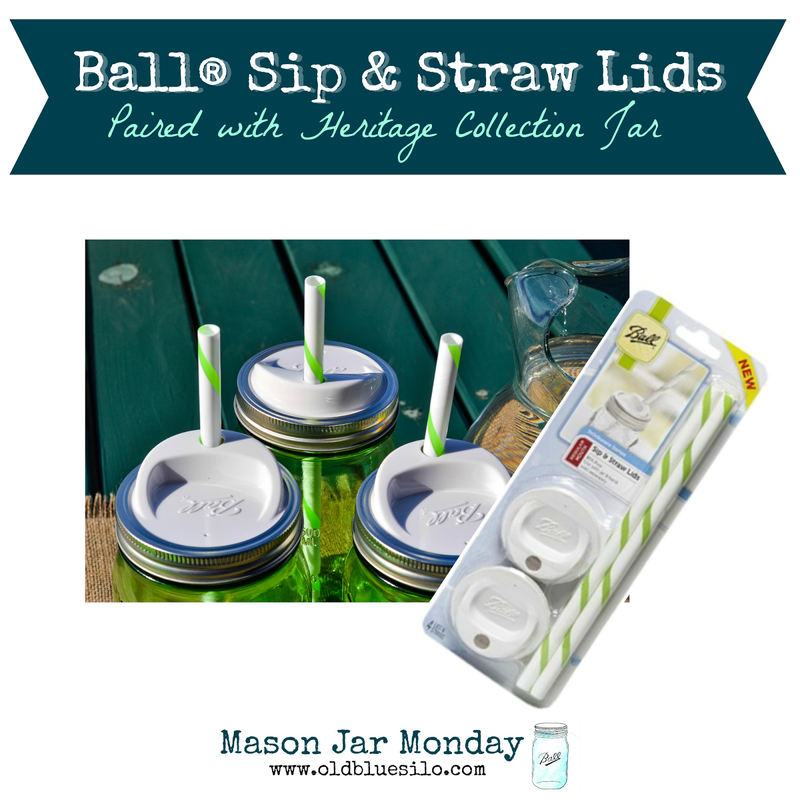 I decided to pair my lids with green quart size jars from Ball®'s Heritage Collection. 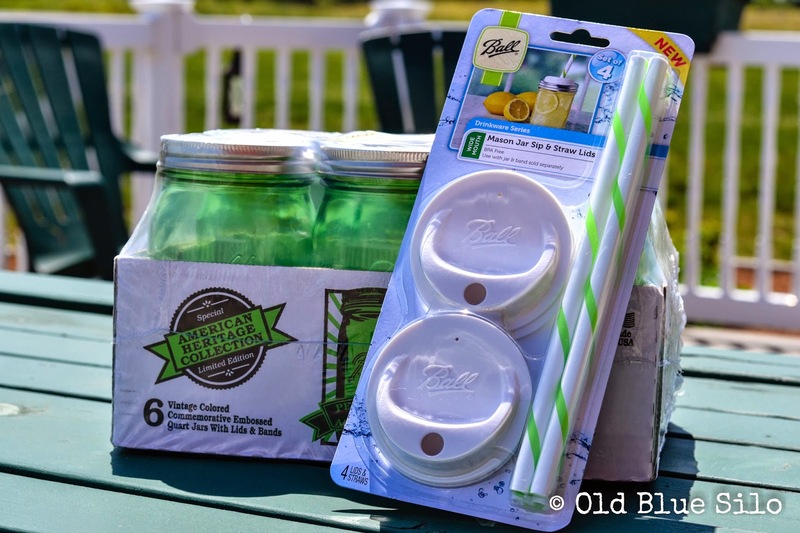 Since the straws are green and our deck furniture is green, I thought these jars would be perfect for some summer sipping on my deck! 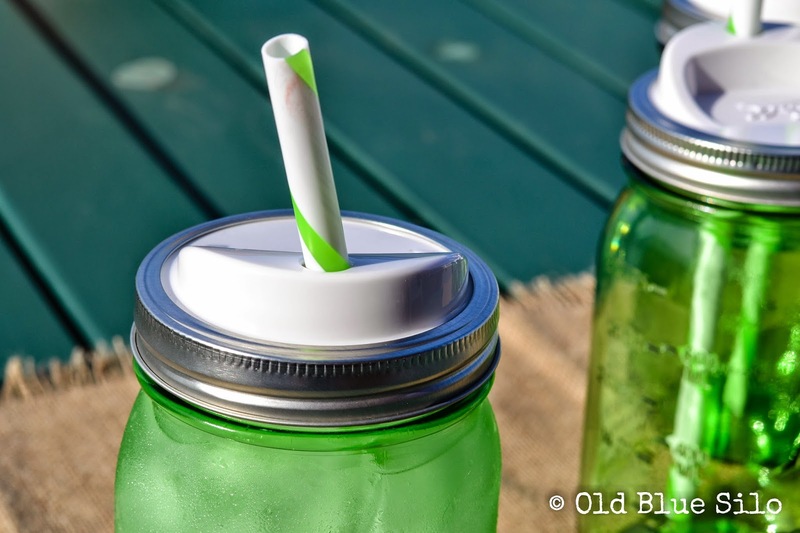 I know we can easily turn a mason jar into a glass without special lids or fun straws, but these lids make it so much easier for traveling and keeping bugs away from our drinks. 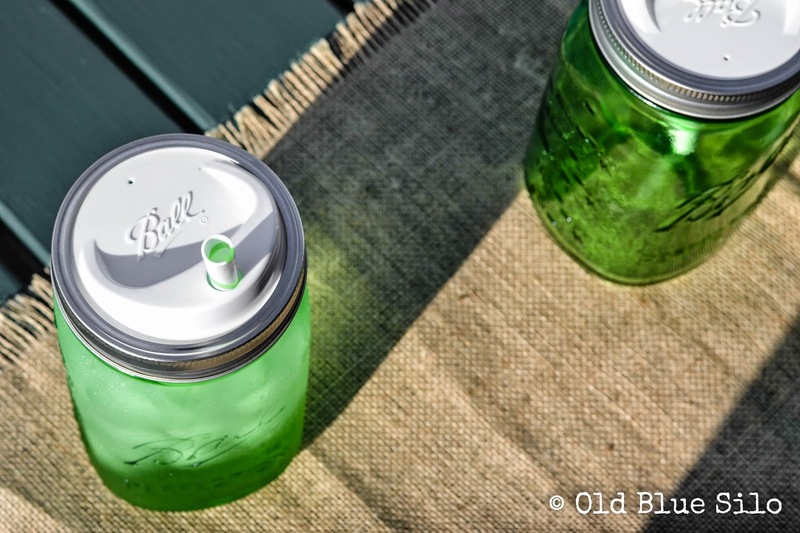 The downside to using these jars as a traveling sipper is that they do sweat and unfortunately, the quart size doesn't fit in a cup-holder in the car. However, you could take a long a smaller size if you were traveling! 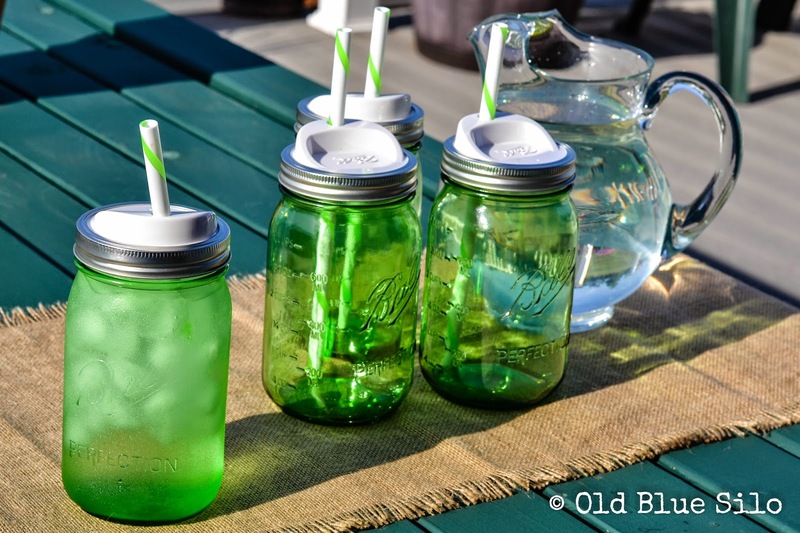 However, these jars, lids and straws are perfect for a small gathering and keeping everyone quenched all afternoon! 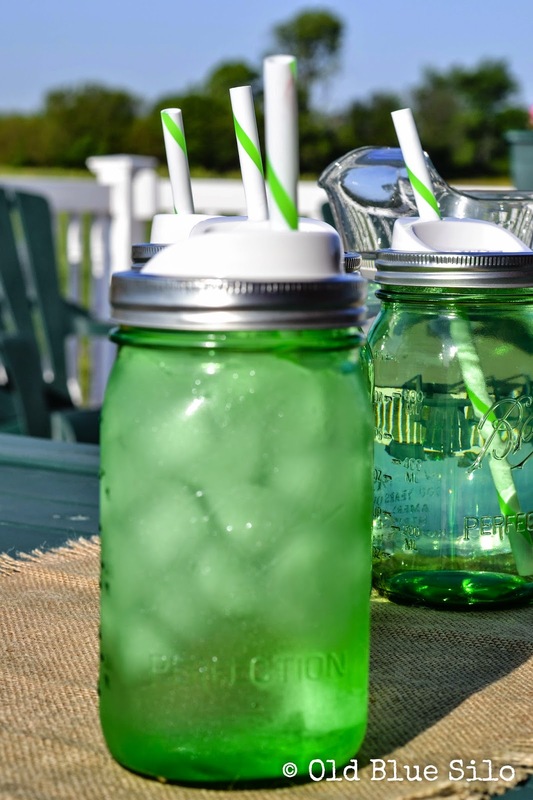 I can't wait to have a few people over and sip some fresh lemonade or ice cold sweet tea. 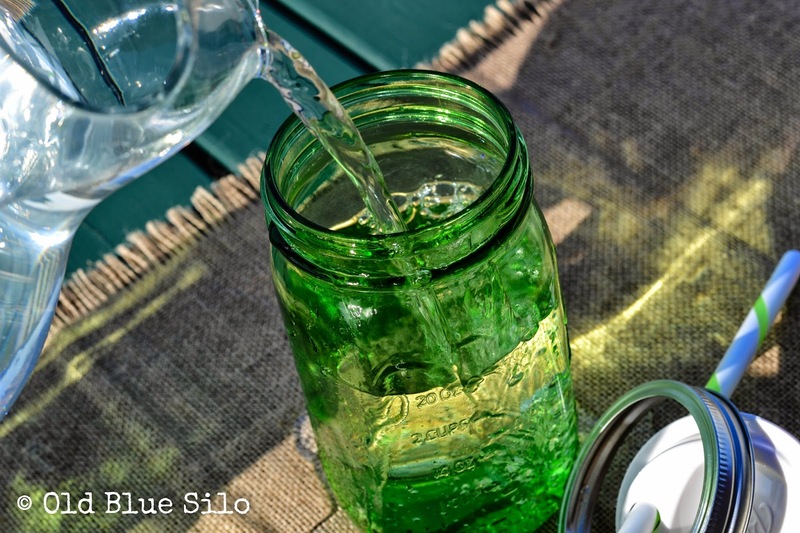 There's just something about an ice cold beverage, a mason jar and summer. It's a small reminder of our roots, our lifestyle, working hard so we can play even harder. 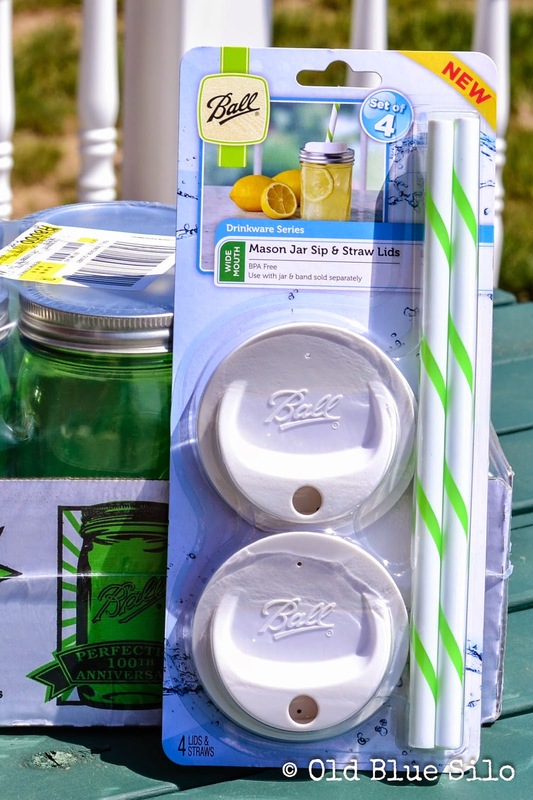 Sit back, relax and enjoy this summer with some of these Sip & Straw Lids by Ball®! 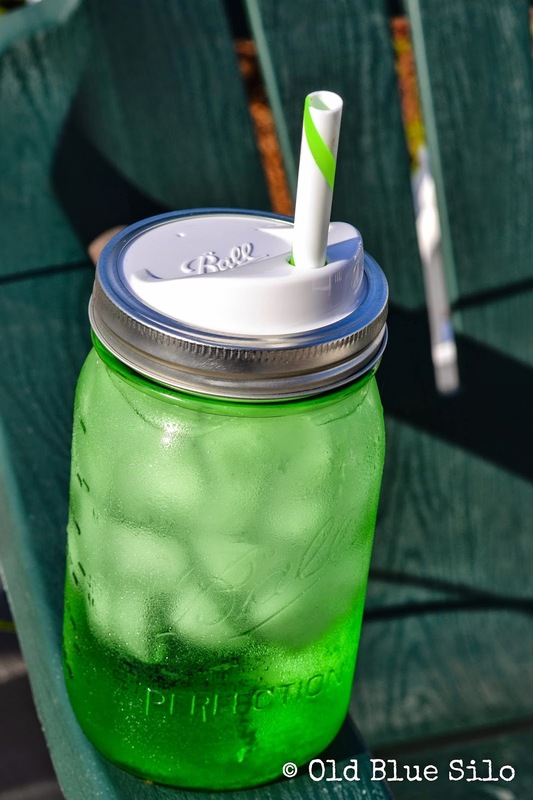 What's your favorite way to enjoy a nice cold beverage in the summer? 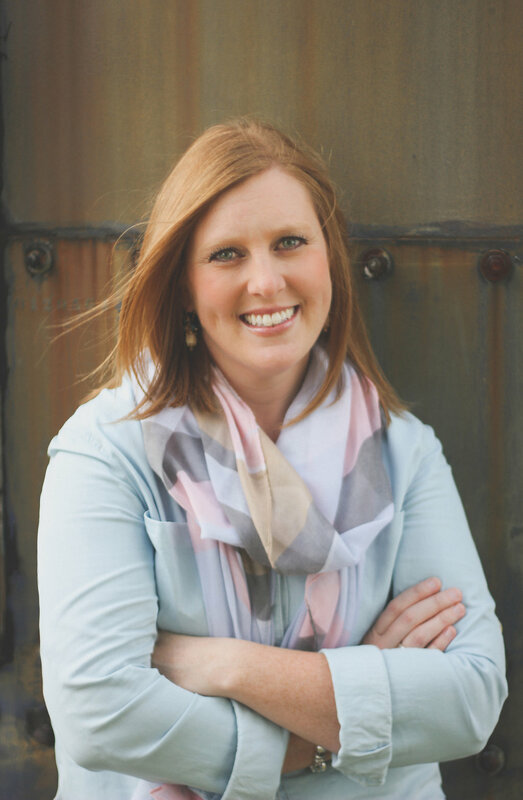 This post is not affiliated or sponsored by Ball® but does contain some Amazon affiliate links. Aren't these AWESOME!?!?! 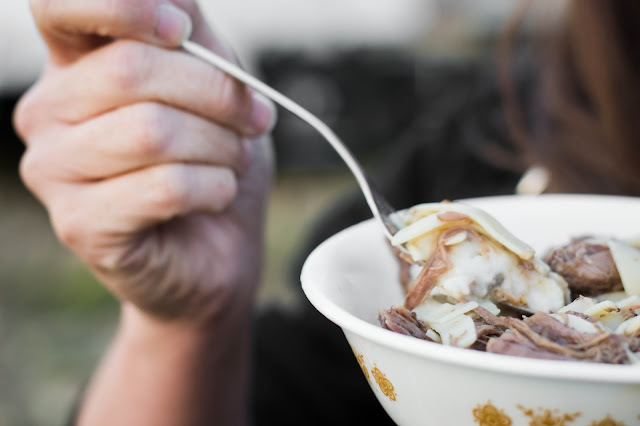 I picked up a set from our local farm store and promptly did a blog post about them! I got the regular mouth ones and I pair them with the 12 oz quilted jelly jar because they fit the best in my cup holder. But the heritage ones are extra pretty!! Absolutely awesome! I haven't seen those exact ones in Canada yet, but we have lots of other varieties.